Kate and Harriet are best friends who are growing up together on an isolated Australian cape in the 1880s. As daughters of the lighthouse keepers, the two girls share everything until a fisherman, McPhail, arrives in their small community. Just fine. To pass some time. 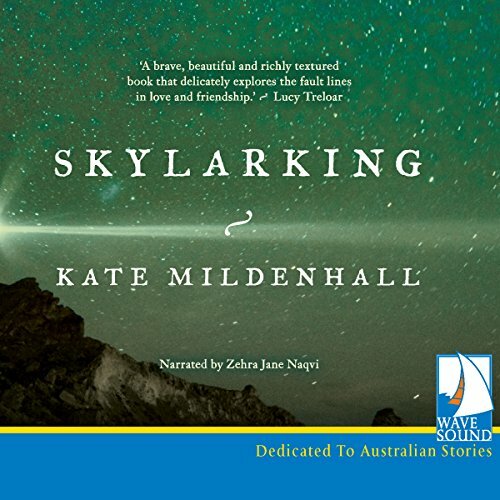 I chose this audio, because having searched for well-reviewed Aussie novels, this one kept being recommended. The narration was fine. A sweet voice, that was easy to listen to and reflected the traits of the lead characters. The story itself? Fine. I mean, given the readership reviews, I expected something more heart-tugging, or perhaps with more profundity. But by this audio it feels too light and cliche to be of any real impact. A nice short-lived (you'll understand) slice of life from a historical community. Anyhoo. It's fine. Honestly. It's not going to change your life. Or even keep you company for a second once finished.... but it's a nice way to pass an afternoon or two.